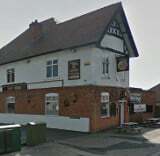 Some general information about the club. 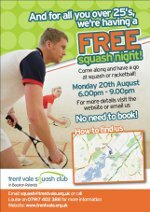 Interested in joining Trent Vale Squash Club? You can access the Trent Vale web site on your mobile. Including court booking info. 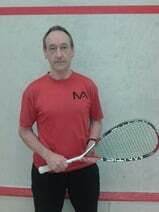 Find out about the coaching available at the club. 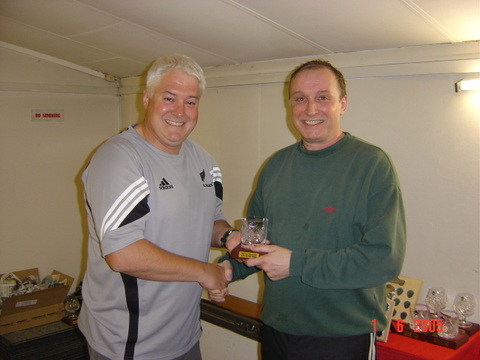 We send most of the club news out by e-mail, using Yahoo Group 'trentvale'. If you'd like to join the group, please send me an e-mail to squash@trentvale.org.uk and I'll add you to the list. 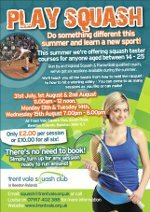 Discounts and Perks for members of Trent Vale Squash Club.